Over the last couple of weeks I’ve been be chatting with authors who will be at the Tenby Book Fair, http://bit.ly/27XORTh, the first event of the Tenby Arts Festival http://bit.ly/24eOVtl . I’m looking forward to having many more such chats over the next couple of months. So far I’ve interviewed Rebecca Bryn: http://bit.ly/1XYWbtF, Thorne Moore: http://bit.ly/1P6zDQh , Matt Johnson: http://bit.ly/1RUqJFg , Christoph Fischer: http://bit.ly/1svniAr and Sally Spedding: http://bit.ly/1VNRQci . Over the next few weeks I’ll be introducing the rest of the authors and I’ll also be showcasing the publishers who will be in attendance. There may also be a short chat with John and Fiona of http://showboat.tv/ who, as usual, will be filming the event. Good morning Wendy, good of you to drop by. Let’s start with a couple of favourite questions of mine, What were you like at school? Were you good at English? I struggled to conform at school but enjoyed learning. I loved all aspects of English, especially creative writing and loved the school trips to the theatre while studying for my ‘A’ levels. The late Sir Terry Pratchett’s ease of style and eloquence are inspirational, encouraging me to craft sentences, rather than write them. Thomas Hardy’s novels, set in the idyllic English landscape are also favourites as are the novels of Dion Fortune. Her aim was to bring magic and occultism into reader’s lives and she created stories that draw a fine line between magic and reality. Looking for more books with this theme, I found none and embarked on my own writing, entwining the mystical and the mundane. I’ve written two novels, Destiny of Angels and Wrath of Angels, the first books of the Lilith Trilogy and three novellas, beginning The Standing Stone Book Series. Wendy Woo’s Year – A Pocketful of Smiles is my non-fiction book, packed full of 101 ideas, recipes and meditations to bring a smile to every day. Having lived with depression all my life, I decided to share some of the inspirations that keep me happy. I’ve also embarked on a year of writing short stories which have been published in online magazines and paper anthologies. I published two short story anthologies myself a few years ago and hope to do more. As well as writing a short story each week, the third book in the Lilith Trilogy, Angels and Demons is taking shape. Abandoned by her parents, so they could pursue their vocation abroad, Angel Parsons struggled making friends. Orphaned at eighteen with a considerable inheritance, she embarked on a life of learning, seeking happiness through her ethical business ventures and relationships. She creates a ‘family’ of her own and the trilogy focuses on her relationship with her lover, Aidan and the Dark Goddess, Lilith. Twenty five percent of my ‘writing time’ is devoted to research. 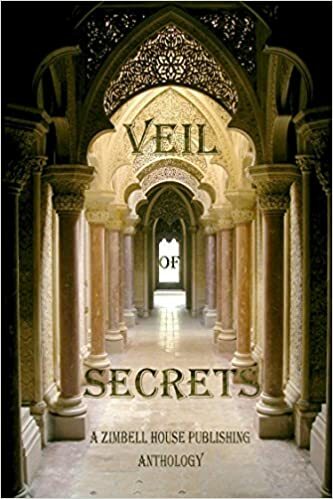 My novels focus on the magic of the Qabalah, ancient teachings and path workings, all of which I experience myself before writing about them. My novellas are set among the ancient landscape of Britain, a subject close to my heart. Since the Tutankhamen exhibition in London when I was eleven, I’ve written about my experiences. My first piece of paid writing was for the Dancing Times after completing my first belly dance workshops but I write the stories that appear in my head and won’t go away. Sharing my stories and then hearing readers have enjoyed them and been inspired by them is the best part of writing. Do you write part-time or full-time? I write every day, research notes, blog posts and stories but I wear other hats. Teaching American Tribal Style® Belly Dance is a great foil to writing, keeping me fit and inspiring women to love themselves and dance. I work to a skeleton outline, allowing the characters to tell the story themselves. My novels take at least two years to complete, and that’s just the writing part. Often I’ve spent a year thinking about the book before I start writing. 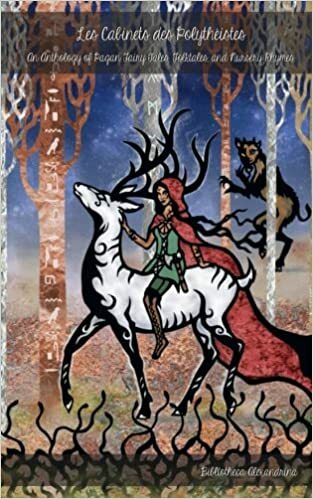 The novellas, with three story lines following the lives of three women, linked by the standing stones across time and space, are easier to write and take about a year to complete. How are you publishing your books and why? My work is self published. I tried the traditional route but finding a like minded agent has been impossible so far. I’ve found publishers interested in non-fiction magical books but none publishing stories featuring real magic. I don’t write about vampires and werewolves but real people who embrace magic in their lives. Self publishing hasn’t proved easy either. I sell paperbacks face-to-face but I’ve yet to make a mark with my online sales. I’ve begun blogging about magic in my own life and am beginning to attract like minded people and new readers. A life lived in fear is a life half lived. Having lost my best friend from school to cancer when we were both just forty, I promised to live my life to the full, embarking on new journeys and experiences whenever opportunities presented themselves. Where can you see yourself in five years time? I use this as a visualisation when my book sales are low and I’m tired and achy. Surrounded by women who’ve been inspired to dance, I read my book reviews and know it was worth the hard work. Women join hands across the world, inspired by the goddess to be the women they can be. Be yourself. Don’t wear a mask. You are good enough. Lovely interview. I’ve lived with depression and anxiety much of my life, and it finds its way into my writing all the time, in a good way! Ha ha, it just popped up on my feed!